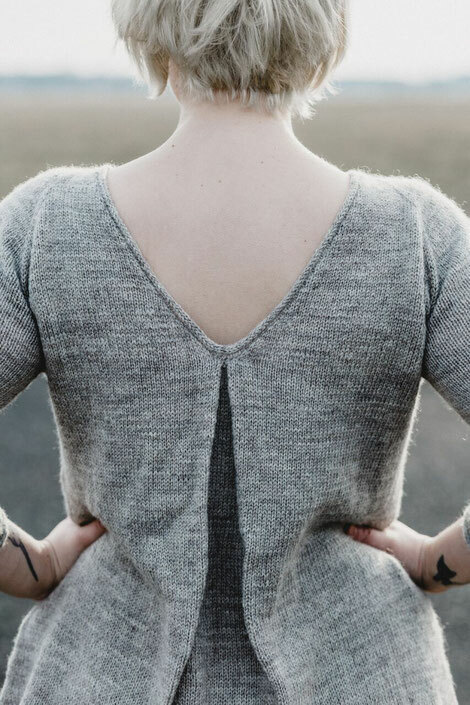 Solano is a beautiful V-backed tunic with an elegant pleat, perfect for those warmer evenings! Solano is designed by the talented Italian knitwear designer Stella Egidi and is part of the Making Stories publication, BREEZE. You can purchase the beautiful BREEZE book through the Making Stories website. Solano is knit in my gorgeous British BFL and Masham 4 ply yarn. The colourway shown is Limestone. Delamere is a stunning funnel-neck, textured dress that comes in two fit options: close-to-body fit or A-line. Perfect for Winter weekends with friends - a snowy walk, a coffee in your favourite café and then a movie night. Delamere is designed by Australian designer Rhiannon Owens for the inaugural Making Stories publication, WOODS. Delamere is knit in my gorgeously squishy British BFL and Masham Worsted yarn and is shown in colourways Wild Orchid and Limestone.